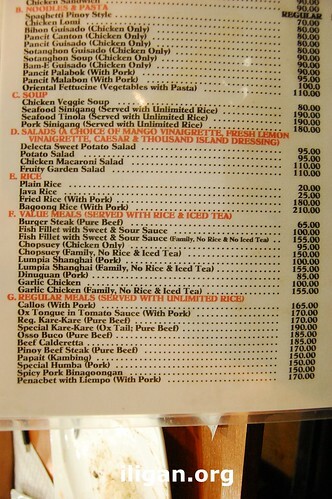 Taking a break from all the Sendong articles, it’s time post something that is also my favorite – food and restaurants! Ako last visit sa Delecta was in the 1990s. My first since that date was in December 2011, dinner, after volunteering for Sendong victims and survivors. I have mixed reactions with my latest dining experience in Delecta Diner and Cafe. Lami kaayo ang burger steak. The best burger steak I’ve tasted in the whole of Philippines! The sauce added more tastiness of the steak. For only P65 pesos with iced tea. Sulit na kaayo. 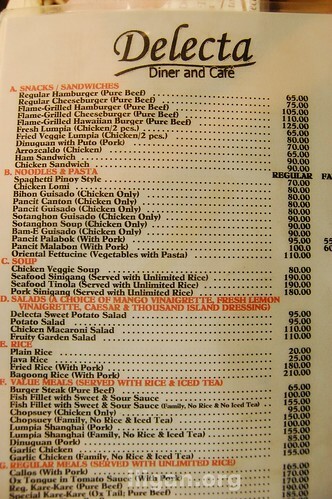 I have to search for another restaurant in this country for a better tasting burger steak. Jollibee’s burger steak is out of the question. The Bad. Not just bad. Really bad. It took more than 10 minutes for our order to arrive. What’s really bad was the iced tea did not! 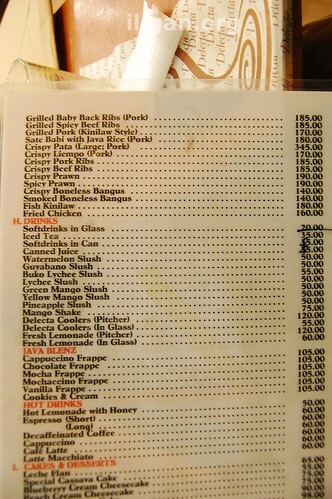 Probably, the crew were too busy, and a bit confused since we also ordered Delecta Coolers, a drink in a pitcher for P120. Whatever the reason was, it’s still bad service. 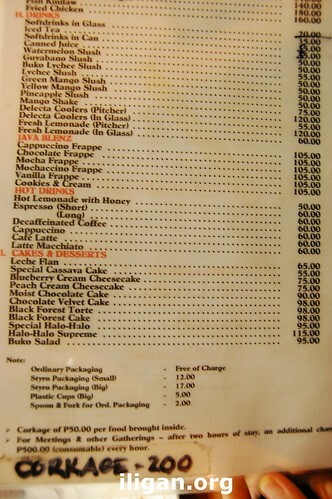 What added another negative to the bad service was they would charge 10 pesos for taking out the iced tea. Payment for the small plastic glass. Location is easy to find. Located just near the first Jollibee in Iligan City. 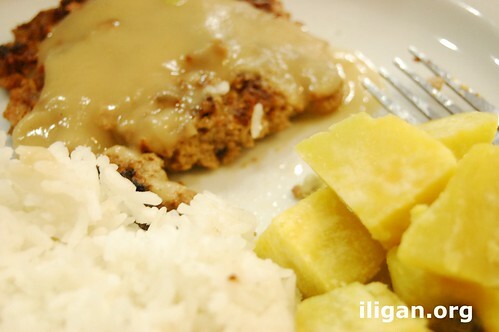 Burger Steak with rice, potato and iced tea for P65.00 only. My friend’s Baby Back Ribs, P185.00. My verdict is it’s not spectacular, pero okay na pwede na. 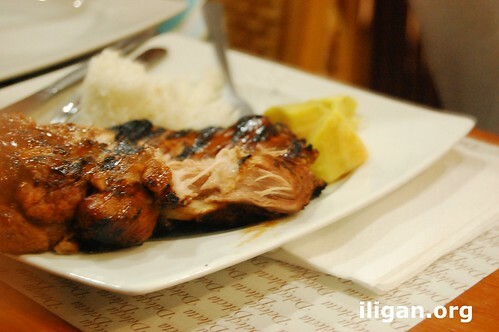 Casa Verde is still the best when it comes to baby back ribs.